Whatever, the day or time, if you or someone else experiences severe chest pain, loss of blood or suspected broken bones, go to your nearest Accident and Emergency department or call 999. Accident and Emergency are open 24 hours a day, 365 days a year and can assess serious injuries and provide emergency treatment. 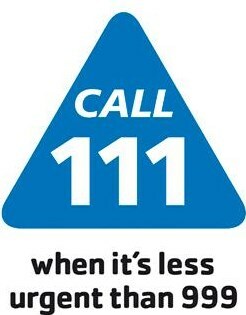 If you need medical help or advice fast, but it is not a life threatening situation, call 111.